A blend of abre camino, ginger, and lemon. Road Opener has been created in my enchanted workshop, Spare Oom. 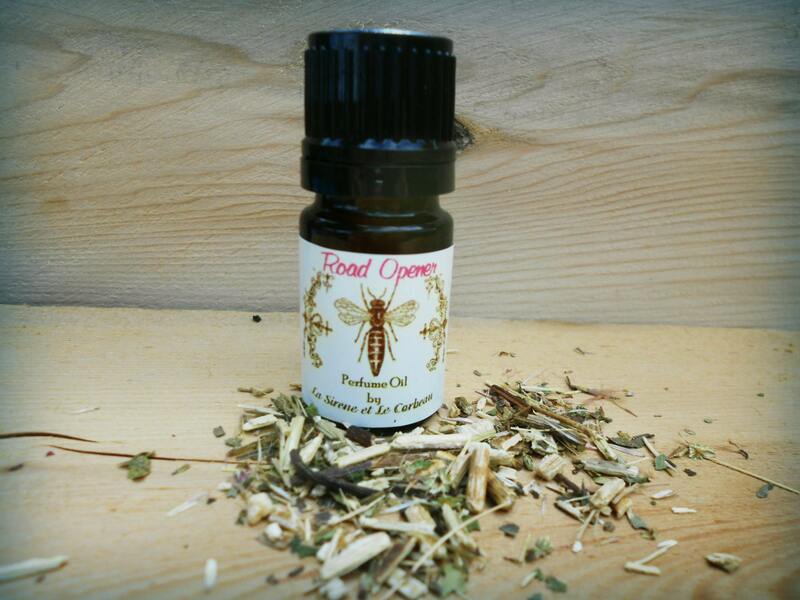 While Road Opener can simply be worn on pulse points as a fragrance oil, it can also be used to remove obstacles in your life and open new paths for you. Perfect, citrusy and spicy. Also, it works! I put this on the bottom on my shoes to help me find opportunity. Wonderful scent and strength.